NICOSIA – With the economy recovering on the back of big tourist numbers, Cyprus is benefiting from its reputation with them as a good place to visit and stay as some 71 percent said they were delighted and rating the county five out of five, a survey said. 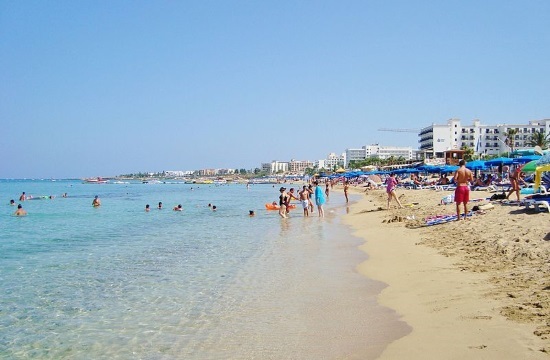 The survey, carried out by research company Noverna from July to October on behalf of the Cyprus Tourism Organisation, with 2,000 departing tourists interviewed at airports, showed that most of visitors came for the sea, sun and peacefulness, as well as hospitality. Also many visitors said they chose Cyprus for security reasons, the Chinese state news agency Xinhua reported. Another 23 percent rated the country four on the scale of five meaning 94 percent scored high marks for their stay and only 0.5 percent scored Cyprus with a one or two. Almost 93 percent of the interviewed said they would most probably visit Cyprus again in the next three to four years, among which 96 percent of British visitors, the former Colonial ruler which still has a military base there and 95 percent of Russians saying they would like to return to the island. Cyprus recorded a record 3.2 million tourists in 2016, a 20 percent increase compared with the previous year and the Cypriot Statistical Service said that was bolstered by a 16 percent jump in the first nine months of this year when some three million arrived.